Retiring on time isn’t a sure thing. It only happens for people who understand the work it takes to get there. The vast majority of these people also tend to practice the same four habits that make it much easier to avoid delays that otherwise push back retirement dates. This is the easiest and probably the most obvious one. Those who try to manage their own retirement plans may eventually find themselves overwhelmed. The habits we’re about to list are so effective mostly because they can be implemented on a regular basis. On the other hand, most people don’t have the time to constantly check their investments, look in on the market, make forecasts, and do everything else that goes into retiring on time. Even if they did, the amount of knowledge and experience required to do those things effectively is beyond the scope of what most people with full-time jobs can hope to have on their side. Hiring a professional to make sure, year after year, that you’re on target as you work toward retiring on time is an investment, but one that’s worth it in terms of financial confidence and, of course, when you’re living out your golden years. One thing I’ve recommended for people who want to retire early is that they do a trial run where they attempt to live off the budget they have planned for their retirement. However, this advice only works if you actually have a budget. According to GoBankingRates, a third of Americans have no retirement savings, so it should come as no surprise that budgets are fairly rare nowadays, too. In fact, back in 2013, Gallup reported that two-thirds of Americans didn’t keep a budget. Creating a budget is easy, though. Admittedly, it’s sticking to it that can be a lot harder. Many us treat them like New Year’s Resolutions: we make one and then set it aside for a year. If you have never had a budget before, start out small at first. Don’t overwhelm yourself with a severe habit you can’t possibly keep. As I’ve talked about before, ditching your latte habit – or the equivalent – can go a long way and certainly start you off in the right direction toward saving far more. Speaking of your budget, make it a point to review how you’re spending your money every month or so. There are actually money-tracking apps that make this easy to do at a glance. Now, this simple habit will definitely help you keep to and even revise your budget. That said, what I really want you to do is look for expenditures of low return. Most of us spend money on things all the time that we don’t actually get any joy from. Do you actually like going to the gym or could you simply work out in and around your home? Is that weekly happy hour something you look forward to or does it feel like an obligation to your coworkers? What subscriptions do you have that you wouldn’t miss? Maybe it’s time to ditch cable. 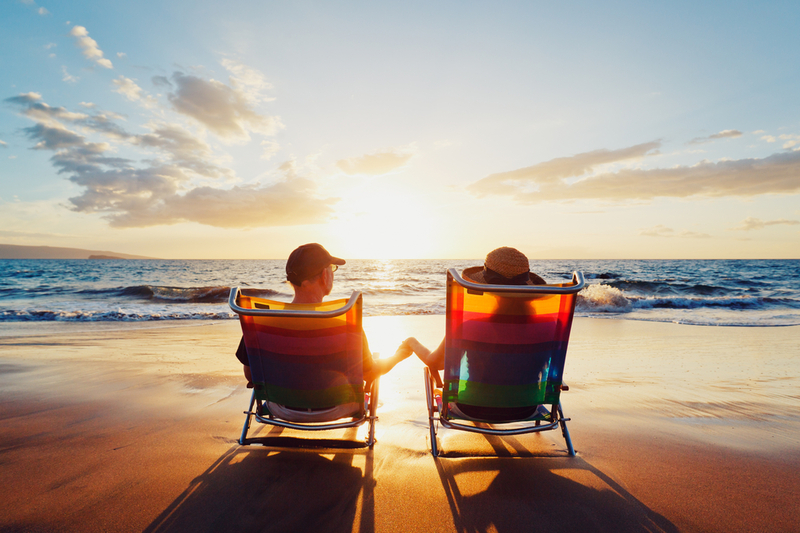 Again, planning for retirement shouldn’t mean suffering for decades on end, but if you are spending money that isn’t improving your life, there is definitely a better use for it. Anyone who is lucky enough to work for an employer that offers a 401(k) must make every effort to set aside money and hit the maximum allowable amount they can invest. This is one of those habits that you can completely automate, meaning it’s hardly even a habit. Just do it once. Do it once and you’ve taken a huge step toward retiring on time. You can even have a latte very now and then. Many employers will even match your contribution, at least up to a point. There is no excuse whatsoever for not taking advantage of this. Your employer is basically telling you that they will help fund your retirement for free. All you have to do is also fund your retirement. Imagine if your trainer said they’d remove an extra pound from you for every pound you lost. Who wouldn’t take that deal? So make sure you do with your 401(k). Note: we still recommend that a professional review your 401(k) allocations simply to be sure you’re making the progress toward retirement that you want. Want Help Retiring on Time? Going back to our first pointer: if you want to hit retirement on time, having someone do most of the heavy lifting for you makes a big difference. Contact us today and we’ll help you build these habits and work with you on other ways to keep retiring on time a realistic goal.